We got together for a meeting in January to discuss the official return of OLS to the RRA along with Real Street running at TKO. With all the excitement we thought why not have a little more fun even if it was just 2 events. Hell, if we were gonna make a comeback we might as well go all in and raise the bar just a bit on the competition!! 8 guys threw their hats into the ring with 5 of them competing this season. Top 3 finishers will be acknowledged at the Banquet in January with the Champion receiving a trophy, Summit Gift Cards, a Championship Jacket, 2018 Gold Card and maybe an additional prize or two. 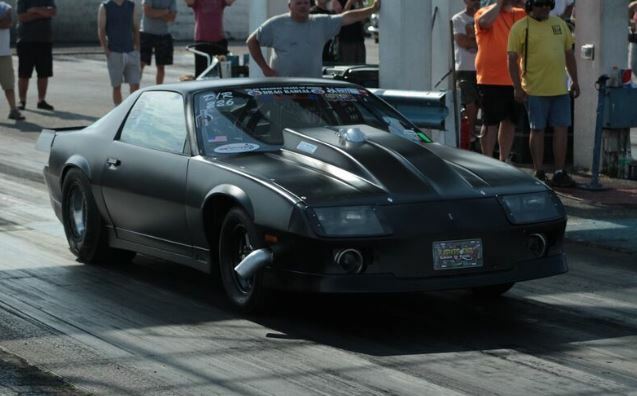 Mike Barran and Keith Sletvold were neck and neck both winning the same number of rounds in competition but Keith took a slight advantage in Qualifying at both events to seal the deal on the Championship by just 3 points!!! 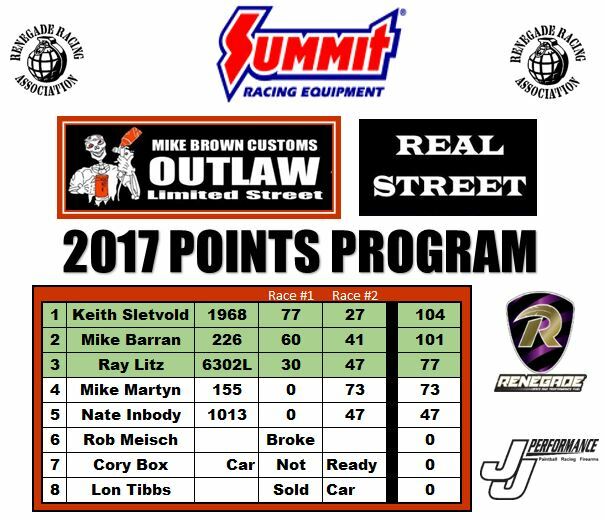 Even without qualifying points the event win for Keith on June 17th would have served as a potential tie breaker. Thank you to all the guys who participated this season whether you ran points or not!! Hopefully this was just the beginning and the best is yet to come!! Renegade Racing Association racers will receive a 10% discount on all custom made diapers ordered through J&J Performance.